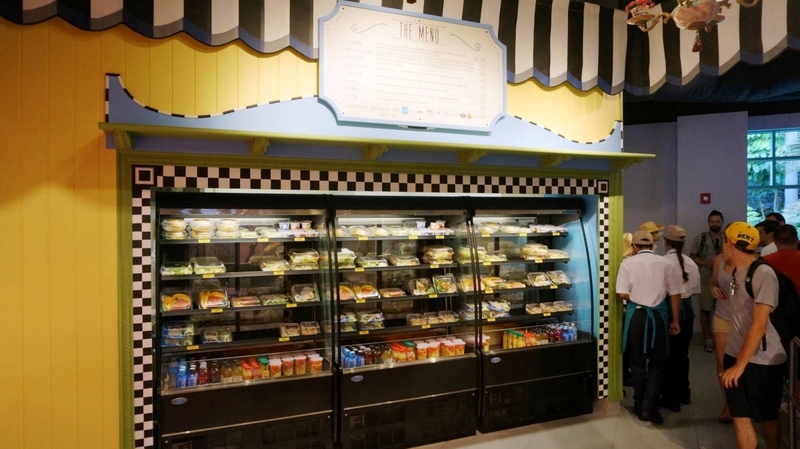 Quick-service station serving pre-made selections and healthier fare. 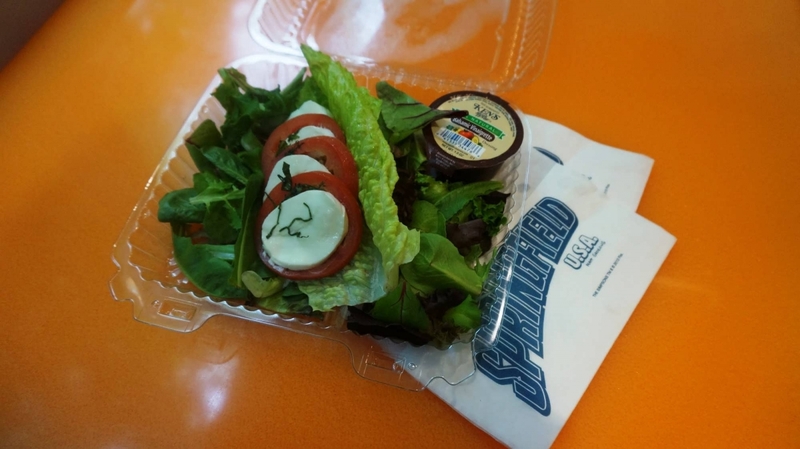 If you’re looking for a healthier option for lunch or dinner, you probably stepped into the wrong area when walking into Fast Food Blvd. 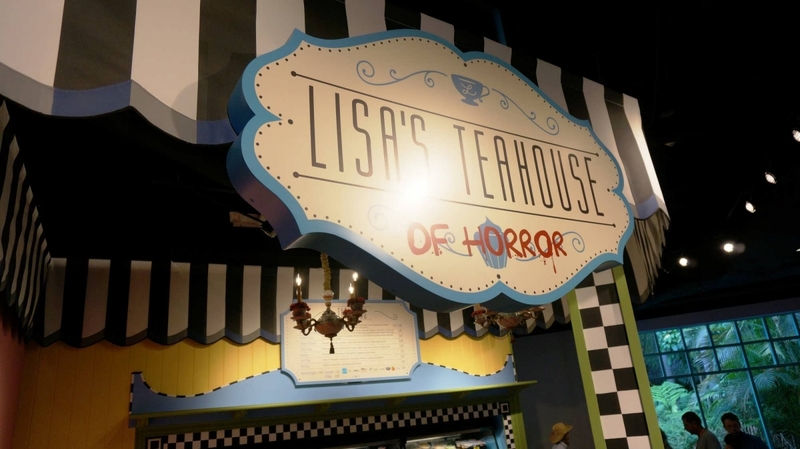 However, if you stick around, Lisa’s Teahouse of Horror has tremendous options for the health conscious, vegetarian, and vegan eaters as well as those with dietary restrictions or allergies. Lisa’s Teahouse of Horror at The Simpsons Fast Food Blvd. Entrees are $3.69 to $8.99. Cletus’ Chicken Shack and Lisa’s Teahouse of Horror are the only two brands at Fast Food Blvd that have not made an appearance on The Simpsons TV series. Get the fruit cup instead of the fruit salad. It sometime hides on the bottom shelf and it is half the price of the salad, for A LOT of fruit! It has watermelon, honeydew, and cantalope... which most kids like. Plenty for two (or even three) people to share with their entree. It is great to pair with a pizza from around the corner. You know how sometimes when you're on vacation, and after a few days of eating out, you feel bloated, full, and like one giant carb? Lisa's to the rescue! We actually ate here twice and sampled the Caesar, the fruit cups and plates, caprese salad, and the turkey wrap. All dishes were fresh and flavorful. The turkey wasn't "slimy" like some pre packaged turkey can be, the mozarella on the caprese was fresh, and the caesar dressing was really flavorful! The wait to purchase the items was about 4 minutes, amazing considering I think this place opened just shortly before our visit. Friendly cashiers, and lots of shady places to sit nearby!! 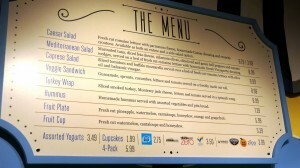 It's not often that one thinks theme park food is good for you. At Lisa's Teahouse of Horror, that's an exception. The veggie sandwich is wonderful! I had it for dinner two nights in a row. I am on a low calorie, low sodium diet, with food allergies and found this to be an great theme park food option. I was thrilled to find it. Paired it with a fruit cup for a sensibly priced, healthy dinner. Can't wait to return to Universal Studios to try it again.